Magnetostrictive level sensor with measuring range 500mm is used for the water level monitoring in water treatment system. 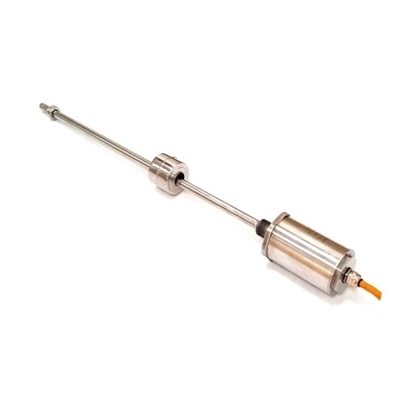 Magnetostrictive sensors also can be used in most industrial automation systems. High precision: waveguide pulse is sued for the magnetostrictive liquid level sensor, the time measuring the start pulse and end pulse during the work is used to determine the displacement, so the measurement accuracy is relatively high, which is the accuracy that cannot be easily achieved through other liquid level sensors. 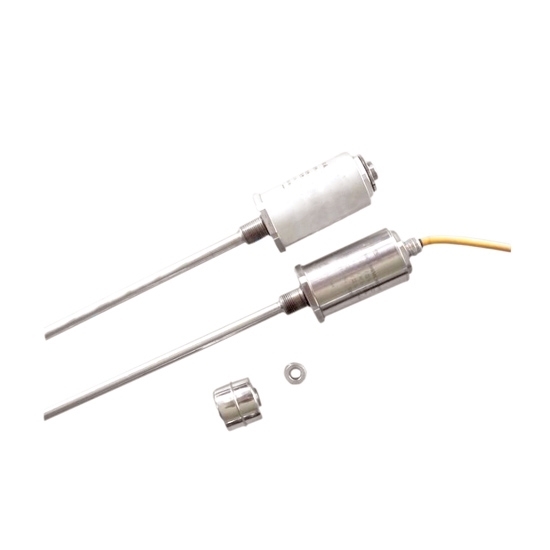 High reliability: waveguide principle is used for the magnetostrictive liquid level sensor, so there is no mechanical moving part. Meanwhile, there is no friction and wear. The whole converter is enclosed inside the stainless steel tube, not contacting the measuring medium. Therefore, the sensor features higher reliability and longer service life. 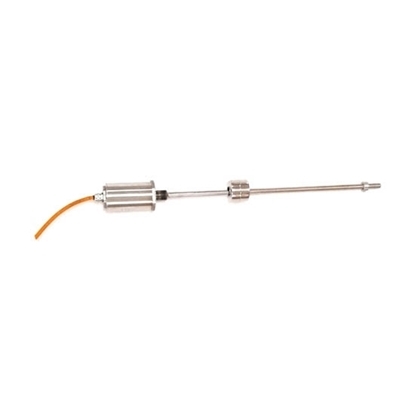 High safety: magnetostrictive liquid level sensor features high explosion-proof performance and using safety, so it is especially applicable for measuring chemical raw materials and flammable liquids. When using for measurement, it is no need to open cover, the hidden dangers of manual measurement can be avoided. 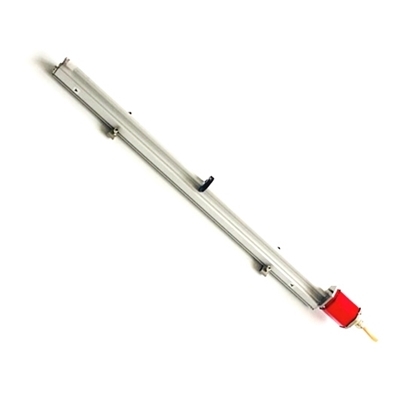 Beneficial to the system’s automation work: the secondary instrument of the magnetostrictive liquid level sensor adopts standard output signal, so it is helpful to process the signal through microcomputer and automation degree of the whole measurement system can be increased. 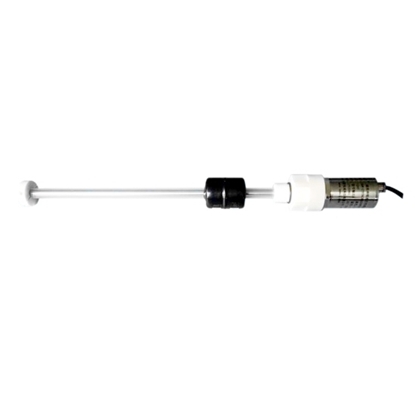 Magnetostrictive liquid level sensor is easier to install and maintain: magnetostrictive level sensor is usually installed through the pipe orifice on the top of tank, so it is more suitable for underground tank, and storage tank that has been put into operation. Besides, normal production will not be influenced during the installation process.